When is a river a drain? 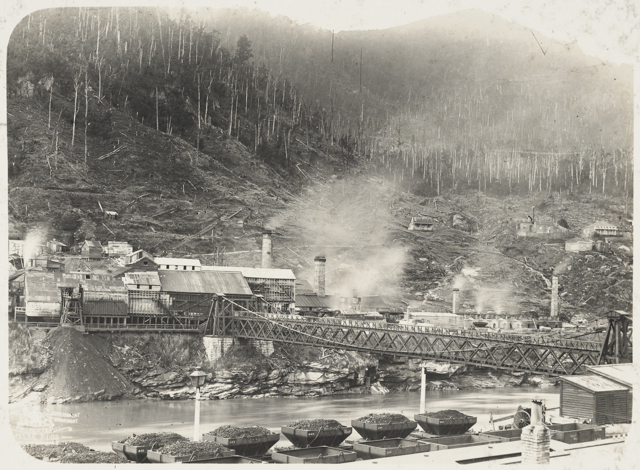 View of the coalmining town of Brunner, by the Grey River, showing the bridge and the mine. Coal ready for transport by rail can be seen just below the photographer. Not to be reproduced without permission from Alexander Turnbull Library, PA1-o-498-36. 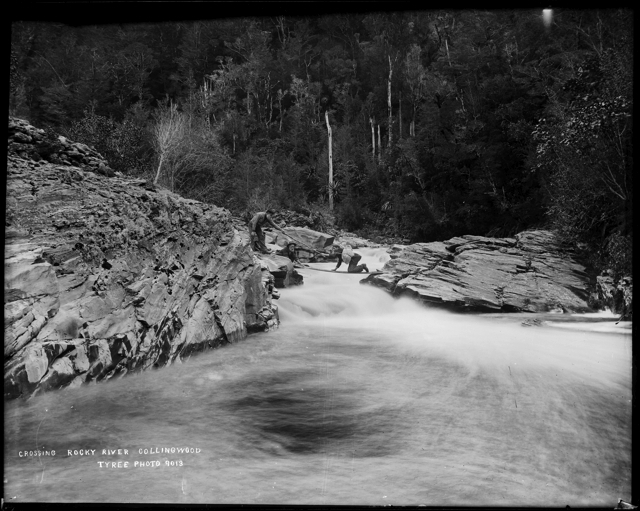 Some may argue that too often rivers are treated like drains even today, but a century and a half ago, rivers were drains under this country’s law.